Andrew is very knowledgeable and helpful! Sinkholes are predominantly in regions surrounding central FL, and appear when the weather changes dramatically or when pipes erupt under the ground and displace the area below the concrete. There must be sinkholes in the area of a property claiming to have a sinkhole for the claim to be reliable. 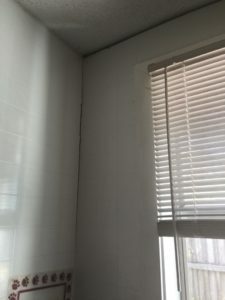 Signs of sinkhole damage are the same types of cracks the home experiences during settlement, such as exterior step stair cracks, but timing of the noticeable cracks is the most important part of the claim. There have been many Florida statutes that changed making it very difficult to get a full sinkhole test. Let one of our qualified experts review and inspect your property. To learn more about the geology of Sinkholes, click and following highlighted text to be directed to the Florida Department of Environmental Protection. To learn about real-life causes and formations, click the following link, Southwest Florida Water Management District. To view a map of Sinkholes in Hillsborough County, visit Exploring Florida. You can also view maps of sinkholes in any county of Florida at the same website. Florida law provides informal alternative dispute resolution programs for certain types of insurance claims. If you have a claim dispute with your insurance company, our programs may help you to resolve it prior to taking legal action. If your insurance company maintains a position regarding your claim which you find unsatisfactory, mediation will allow you to sit down face to face with the company and a neutral third party mediator licensed by the Department of Financial Services (DFS) to try and resolve your differences. The mediator acts to encourage and assist in the resolution of the dispute without dictating the outcome. If you have a sinkhole claim dispute, our sinkhole Neutral Evaluation program will provide a neutral third party professional to review the findings of the insurance company. Both mediation and sinkhole neutral evaluation are non-binding. Neither the policyholder nor the insurance company is legally obligated to accept the outcome of the mediation conference. 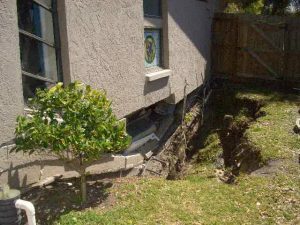 Owner of Reliable Claims Adjusting was on NBC concerning a client’s property in Seffner, FL that had a sinkhole. Sinkhole Neutral Evaluation- Upon receipt of a claim for a loss due to a sinkhole, Florida law requires insurance companies to inspect the property to determine if there has been structural damage to a covered building that might be the result of sinkhole activity. If the insurer confirms there is structural damage to a covered building that is consistent with a sinkhole loss, or if it cannot determine the cause of the structural damage, the insurer must engage a professional engineer or a professional geologist, to conduct testing and issue a report. If the insurance company has denied a claim for loss or damage based on the results of a sinkhole report, or if you cannot agree on the method of repair and remediation, either you or the insurer can request a neutral evaluation. Neutral evaluation is mandatory if requested by you or your insurance company; however, it is non-binding, and both parties retain their right to pursue legal action. The insurance company is required to pay all costs associated with the Neutral Evaluation program, except for a court reporter if you request one. If the insurance company determined there was no structural damage and denied the claim without engaging a professional engineer or professional geologist, you must demand that testing is done. The demand for testing must be made in writing to the insurer within 60 days of the denial and you must pay 50% of the actual costs of the testing or $2,500, whichever is less. If a sinkhole loss is confirmed, your insurer will reimburse you. You can request a Neutral Evaluation online or by using the request form. The resolution procedure, which involves the use of a state-certified Neutral Evaluator, is authorized under Section 627.7074, Florida Statutes. For more information visit the Florida Department of Financial Services. If your property has been impacted by a sinkhole, then a Certified Public Claims Adjuster can assist you with getting the compensation you deserve. Here at Reliable Claims Adjusting, we understand the financial burden that insurance claims can place on family or business. That is why we don’t get paid until you get paid! Contact us today using the form below, or call us at (800) 580-5650 for a Free Consultation with one of our experienced and certified Public Claims Adjusters! I will recommend your services to anyone having a property claim.